Stop by our Fairbanks Honda dealership today and get started on applying for approved Honda financing! 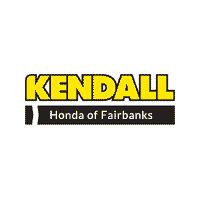 Welcome to Kendall Honda of Fairbanks, your leading Alaska Honda dealership and service center! 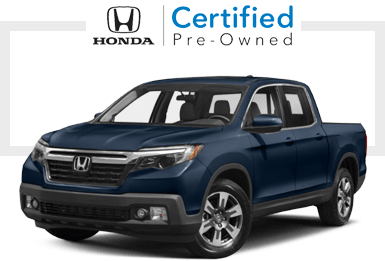 Surrounded by the beauty that is Fairbanks, Alaska, we are proud to sell the finest quality new and used Honda vehicles in the area to some of the finest quality customers in the nation. We are a family owned and operated business that believes strongly in maintaining our core values of excellent customer service that you can’t find anywhere else, selling the best vehicles on the market, and continuing to grow our community outreach program. Visit our Kendall Honda showroom today and find out what we’re all about. Our dealership is conveniently located at 1000 Cadillac Court, Alaska 99701. We are just a short drive away from the lovely communities of North Pole, Fort Wainwright, and Delta Junction. While you’re here, allow us to take you out for a test drive in some of our brand new Honda models. You’ll love the classic style of the Honda Civic, the cargo room and all-wheel drive on the Honda CR-V, and the versatility of the nimble Honda Fit. Well-equipped and award-winning in safety, the Honda brand is known for smart innovative technology and the longevity of their vehicles. Owning a Honda is an investment in style and durability and we’re happy to help you find the perfect vehicle for the road ahead. Begin your search by browsing our extensive inventory of new Honda cars and our inventory of used cars in Fairbanks. If you have trouble finding what you’re looking for, give us a call or contact us online and one of our knowledgeable and friendly team of professionals will help you find the car, truck, van, or SUV of your dreams. Kendall Honda of Fairbanks understands that not everyone is in the market for new Honda cars. That’s why at our used car dealership you will not only find new Honda cars for sale, but a wide variety of used cars in Fairbanks as well. Our large inventory of Honda used cars provides our customers looking to make an automotive purchase with many used car options. Furthermore, in our selection of used cars we have an inventory consisting of Certified Pre-Owned Honda cars. To ensure top quality, our Certified vehicles have gone through several tests and multiple-point inspections. Shop our used car inventory, then give us a call or contact us online if you have any questions. We wouldn’t be a full-service dealership without offering automotive repair, and that’s exactly what we do. You can make an appointment online or by phone and one of our certified mechanics will take excellent care of you and your vehicle in our Honda Service Center. Don’t settle for subpar service elsewhere, come to the dealership you can trust with your investment. We also offer parts and accessories in our Honda Parts Center. At Kendall Honda, we realize how lucky we are to live and work in the state of Alaska among some of the hardest working and down-to-earth people in the nation. It is our joy to bring you and your family the finest Honda vehicles and provide you with unrivaled customer service. Come see us soon and let us welcome you home to Kendall Honda–where the difference will always be family. Each certified used Honda model at our dealership is carefully inspected by our trained Honda service technicians to ensure quality.